In China, I think that it’s better to keep expectations low, because the employment rotation is very common and loyalty is a new notion. Since the employment market is still relatively new, many often think short-term, but in the long run, when the employment market will be more saturated, I think there will be more stability. It’s already more stable compared to three or four years ago. In my series, exploring the ways to successfully navigate business in China, I had the pleasure to interview YiZhou, founder of YiZhou Studio and Global Intuition. Chinese multimedia artist YiZhou was raised in Rome, Italy and studied in Paris and London, earning degrees in political science and economics. She is a polyglot artist whose video works have been shown at Shanghai Biennale, Venice Biennale, Sundance Film Festival and Cannes Film Festival. In 2010, she relocated to China and founded her creative strategy digital production company YiZhou Studio www.yizhoustudio.com in Shanghai and Hong Kong. She founded YiZhou Studio LA as the US branch in 2018. 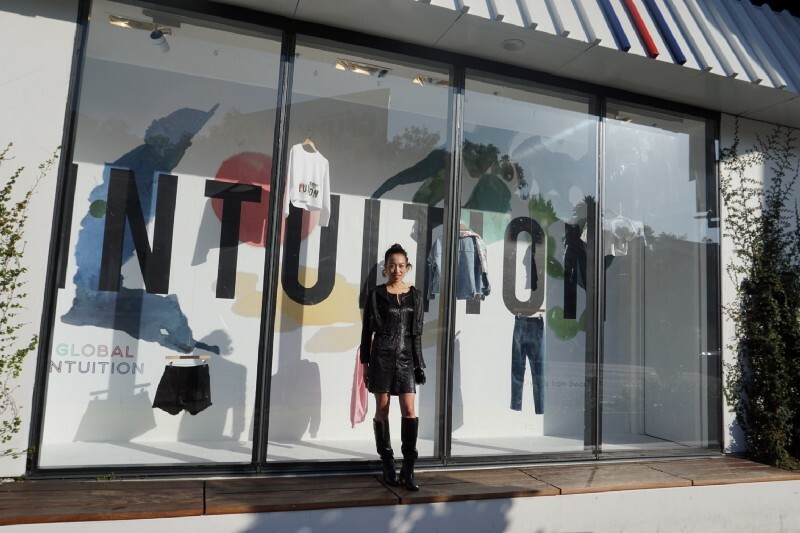 YiZhou is currently developing her first feature film as a writer/director and plans to invest into Hollywood and Chinese co-productions via her new company “Into the Sun Investment.” She is the founder of the new fashion brand Global Intuition that will launch in Fred Segal stores in September 2018. Thank you so much for doing this with us! What is your “back story”? I grew up in Europe and moved back to China in 2010 during the time when it was booming. Everything was new to me. I could not even speak Chinese perfectly. Everything had a taste of foreignness and étrangeté. It took me a while to integrate into Chinese society, and I was an interesting case to the eyes of the Chinese. I looked Asian, yet my tasty, body language and mindset were not Chinese at all. I had to learn a new set of communication, life, survival and professional skills. It was difficult in the beginning but slowly, I was very happy to be able to be integrated into the Shanghai and Hong Kong societies. Lost in translation in China and being Chinese is definitely an interesting concept. I think that contrary to the USA and Europe, in China, we don’t just throw out a number and tell people without that figure, we don’t do the work. In China, people like us to show a bit of interest and do some favors first to show a real passion, and then they would consider to do business or hire us. I did not know this and I thank a very savvy Chinese lady and tycoon who taught this to me. I will always be grateful to her. China-wise, we are working on our joint project with Partizan /Vroom and Tmall (Alibaba) for luxury brands and their advertising and digital assets focused on China. I am the creative executive producer for social media and advertising assets for luxury brands internationally, with a focus on the Chinese market. We are very excited to work with Alibaba on this innovative project. I’m glad that my team and Partizan/Vroom can partner on this project. My father, the Consul General of Italy, many media representatives in China, such as Angelica Cheung, Modern Media Group Thomas Shao, my PR team, and genuine people whom I encountered in my journey in China from 2010–2017. I think that some untapped markets include technology, banking/finance, food, health, fertility, sports and meditation. I only have the best feelings about the future, with positive wishes for life and for my country, China. -DIY: Don’t delegate to other Chinese colleagues. Try it on your own first. That’s the best way to learn from your own bruises. -MINGLE: Try to go to Chinese events and have dinner with Chinese people on a regular basis in order to connect more emotionally and learn the mindset. -WECHAT and WEIBO POSTS: Don’t just post only one photo when you are in China, but try to post on regular basis. Try to read other people’s posts as well. That is the best way to understand the fast-paced Chinese society and business development. -LOCALIZE: Don’t think and act as a foreigner, or you will have more chances to be treated as such. Convert your mind fully into the Chinese mindset, as much as you can. -BARGAIN: Learn more negotiation skills before you enter into a business discussion in China. Chinese are all very savvy negotiators. ‘The greatest of all gifts is the power to estimate things at their true worth.” Burton G. Malkiel, A Random Walk Down Wall Street. I think this quote applies not only to investing, but also to people overall. Try to see people through and thoroughly. I am fascinated by STEM and women who do research in science. I think this is a huge area that is not covered enough by media and in the public eye. I was thrilled to be able to meet some amazing women in Lindau during the Lindau Nobel Laureate meeting in June. I hope that thanks to my work, there will be more awareness for these women.